Is the time now for a mobile infrastructure provider??? Forums › Spark New Zealand › Is the time now for a mobile infrastructure provider??? freitasm: And then what? In ten years time one government privatises it, and companies start complaining that it's a monopoly, etc? Telecom Corporation - > Telecom Limited all over again? Thats a good point. But if it is a wholesale only company, service provide only that may not be a major issue, whats the competition for, the provider gives the product for others to compete with. Govts are always the flaw in every idea, they could carve it up etc. Maybe it could only be provided by a publicly traded company, problem there is it can still be sold and carved up. No easy answer, i guess there is an opportunity to provide this but how is the question and is the will there. Maybe the outer network option is an option..
freitasm: Regulation, with a single SOE entity, with no competition won't lead to required investments in the area, and won't lead to stability, or even to better service. A free market with competition will lead to that. It (competition) didn't deliver better consumer outcomes when the NZ electricity sector was privatised. Quite the opposite occurred. I would posit that we were, and would be again, far better off with a single state owned entity running the electricity market. (Although I'm not exactly sure where the public private boundaries should be re generation/distribution/retail etc). No one is saying it (single-entity state ownership of significant national infrastructure elements) would be perfect, just that the benefits far outweigh the drawbacks. At least that's how I see it. I think for this discussion to be really useful, we will all need to push past our own personal ideological starting points - i.e. "free market is best" and 'state ownership is best" and move onto more specific, tangible cost/benefit/outcomes analysis. Yep electricity supply was certainly better with NZED etc but thats a whole other story. Investment can be dictated by Govt but if the SOE was governed right it could work. I am all for free market but some times having a crown owned asset is not a bad thing. There is potential for locking the network into law which would require some serious balls or a dictatorship to change. Or a Private and public partnership, that might work better. Like the Fibre network, I did at one stage support private ownership but more and more I would prefer $1.5bil to be kept in crown hands and a private company runs it. Telecoms chorus could run it but that could change based on performance. I shudder at the thought of losing competition at the network level. While this idea might work in the boonies where its not viable for each network to build out their own network, I dont think there should be any way that urban areas that are profitable have the control of the network moved to a company that wholesales it. richms: I shudder at the thought of losing competition at the network level. Thats fair, maybe all rural sites and smaller centres could go this way. Less investment for every one and that means there is some skin in the game etc. Rural and provincial NZ is where this concept would work, could bring us to 98 or 99% of population covered. Sounds to me like you want better coverage. If you are willing to pay a premium satellite phones are already available. If profitable areas are used to subsidise those that are not profitable the cost will rise for everyone. The first telco to enter an unserviced area will probably pick up most, if not all, of the regular customers in that area. If it is not viable for one telco to operate there it probably isn't viable for all three (or more) to share one set of equipment either. What effect will 'clipping the ticket' have on 'best mates' and 'non-stop text' type of deals? If all 3 telcos were owners of it, then they would split the profit on it I would expect, so no big deal. bbman: One good reason is better urban, rural and tourist cell coverage, both networks have adequate networks but cannot justify large investment in rural or special tourist routes. But an infrastructure provider can as they can sell to all networks and clip the ticket on all trafic. In summary you want something similar to the Telecommunications Service Obligations that covers mobile? Or perhaps he's talking more about a "Chorus Mobile" as Chorus do provide all the line infrastructure, then it's up to either Telecom Wholesale/Retail or a third party to provide (E)UBS ontop of what "Chorus Mobile" have provided in the way of core infrastructure. A model much like what Vodafone/2Degrees have where 2Degrees provide their own infrastructure in the Metro's and roam on Voda outside that I believe would be best. However having the nationwide network being a SOE, or a "Infrastructure Only" company like Chorus or Kordia, not Vodafone or Telecom Retail. And let others provide the billing and voice/data services over the core infrastructure. That way the companies who buy the service off "said mobile infrastructure provider" would then fund the upgrades, plus have KPI's to ensure they kept everything up to date. The original post was "do everything" which then morphed into "do where it's not done" idea, which is basically getting a company to deploy and clip the ticket, which is what have been done in the past with Telecom and Kiwishare/TSO - and we know it didn't work at all, including government outdated standards and requirements (remember they only have to provide up to a certain data speed on copper, broadband is not covered, etc). Expecting a SOE to follow a mandate that is maintained by a commission is asking for things to get outdated very quickly. And with bad service. 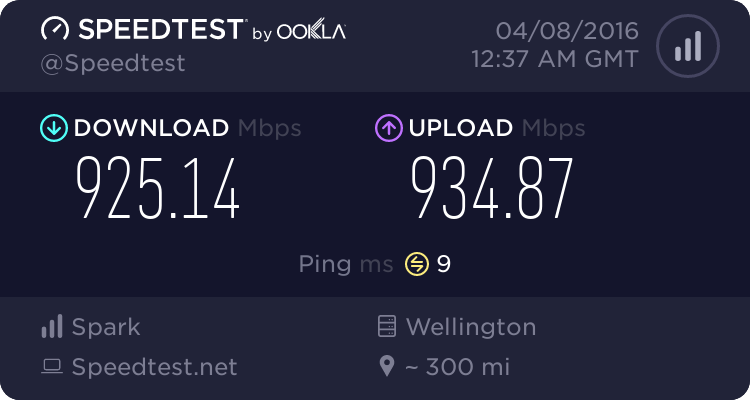 I think there is a good argument that a LTE mobile network in NZ is a classic natural monopoly where it is in fact more efficient for there to be one provider. A bit like electricity lines companies. The normal setup for natural monopolies is for them to be either govt owned or heavily regulated if in private hands. I can see no reason why a single infractructure provider would result in less investment. In fact they usually result in more investment. As long as they are regulated to prevent monopoly profits the end result is a net benefit to the consumer. Havent really spent a lot of time thinking about this so would be interested to know whether any one else thinks im on the right track here. Sounds exactly like Transpower.. remember it's a state owned enterprise "natural monopoly" that is responsible for the electricity grid, transmission and lines (they are not involved in power generation or retail). ... and look how well that is working! I think sharing of cell towers (not the equipment on the towers) and the trenches/ditches that fibre lives in (not the actual fibre) is definately desired but could easily be managed via resource consent, commerce commission and an industry working group rather than a SOE. freitasm: The original post was "do everything" which then morphed into "do where it's not done" idea, which is basically getting a company to deploy and clip the ticket, which is what have been done in the past with Telecom and Kiwishare/TSO - and we know it didn't work at all, including government outdated standards and requirements (remember they only have to provide up to a certain data speed on copper, broadband is not covered, etc). All you have done is describe our current model and how it doesn't work, and yet attempt to use that as an argument AGAINST change? Also you draw on examples from 30 years ago, when technology is rapidly changing, and according to Moores Law, is on an exponential curve upwards, requiring new ideas and approaches, and due to our size, geography and population, its not feasible for one company to do it all. Too often big market ideas are paraded around NZ like we have a population >100 million. We dont, what we do need is innovation, people willing to try new ideas, instead of regurgitating tired "free market knows best" rhetoric, which is normally a cover for a profit grab. Yep - that is exactly how I see it. I lean towards a govt entity to run/own it. Not a private entity. Although I do concede that just maybe a ppp (public private partnership) could work well too. Worthy of investigation. My big fear of any private entity involvement is profiteering/rorting. At least if the government owns it, there is far greater transparency of the accounts, and thus informed discussion about pricing / profit levels can be had on an ongoing basis. But perhaps a more immediate question is this: How would you convince the current asset owners to hand over their assets to this new entity? And has this been done anywhere else in the world before - if so, how did that turn out? I thought it was common knowledge that Orange were building a network in NZ to be ready in 2017..?